IIPP Working Paper No. 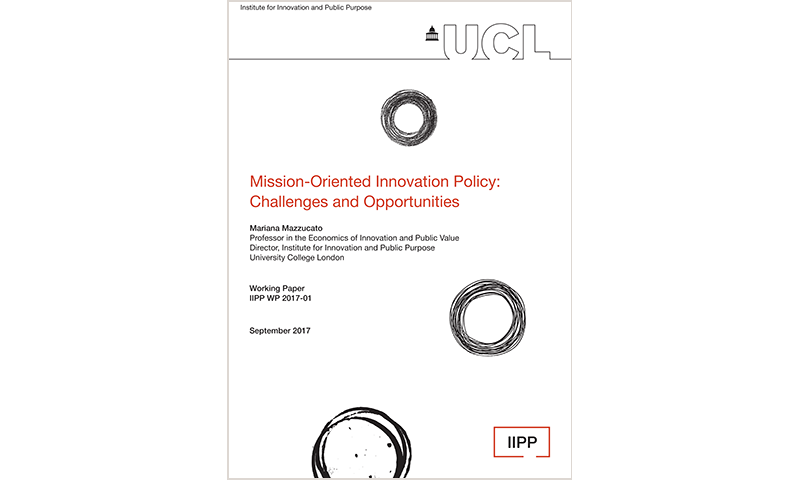 1 explores the challenges and opportunities for policymakers of a mission-oriented approach to innovation policy. Governments are increasingly seeking economic growth that is smart (innovation-led), inclusive and sustainable. They are trying to achieve this in a context of major social and environmental challenges such as tackling climate change, improving public health and wellbeing and adjusting to demographic changes. missions may require consensus building in civil society. The changes in mind set, theoretical frameworks, institutional capacities and policies required are by no means trivial, but equally mission-oriented innovation policy is far from being a step into the unknown. As set out in this paper, there is substantial theory, evidence, case studies and experience accumulated over many decades of successful practice.